-Getting back in tune with things, traveled to Las Vegas and Washington DC last week for work and tradeshows. 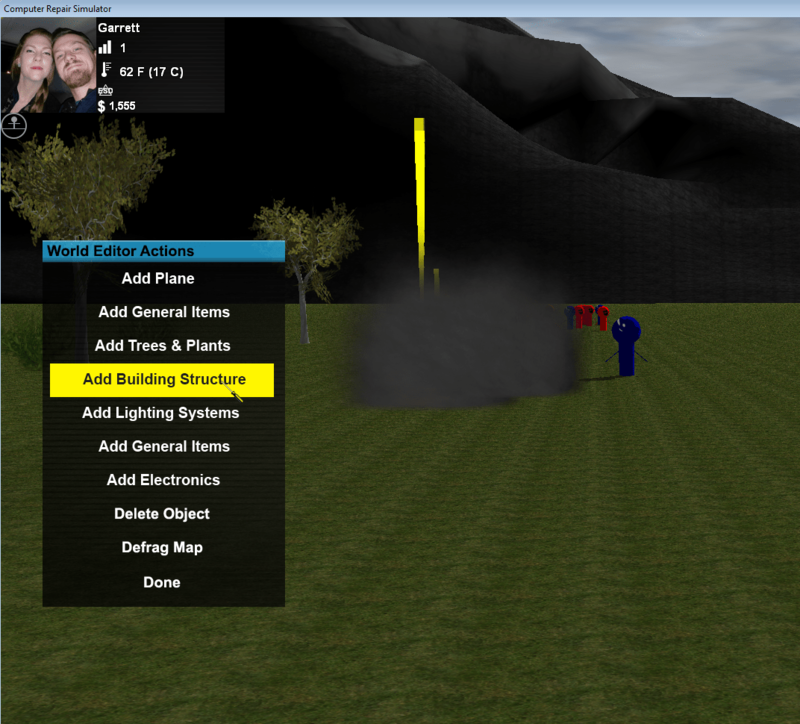 -Added new feature to world editor to now move the created object closer or farther away from you. Farther is good for world objects, closer is good for building electronics / boards / details. server in a rack while rigging the power / network cables. *Building Systems: walls, floors, trusses, supports, roofs, ceilings, stairs, functioning windows, functioning doors. Enough to build a town system or scenario. 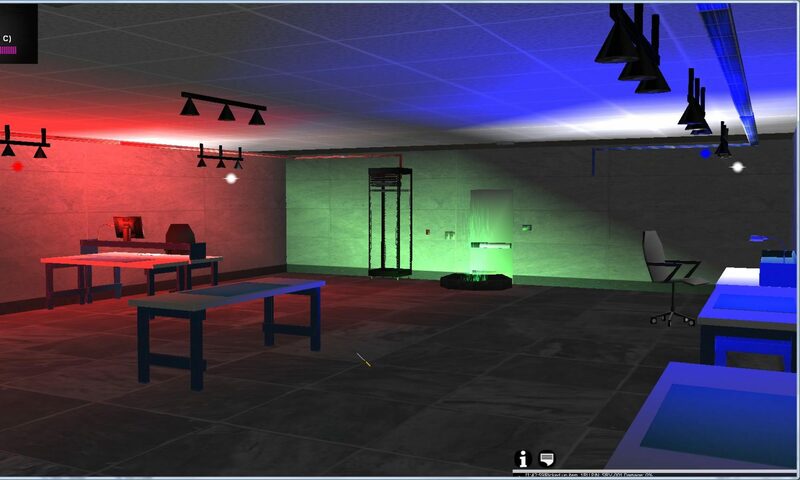 Players can build their warehouse / office and begin rigging it up for a scenario.